Perched up on the top of a hill at the entrance into “the valley” Presidio Park is one of my favorite parks in San Diego. With views over Mission Bay to the Pacific Ocean, it’s a favorite for sunset watchers. As a major symbol of the city, it stands atop the hill recognized as the site where California began. It was here in 1769 that the Spanish Franciscan missionary, Father Junípero Serra, established California’s first mission and presidio. 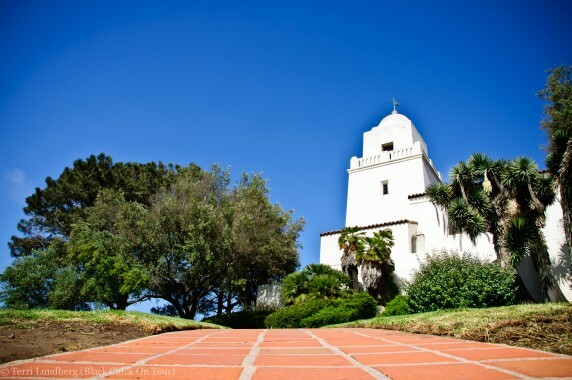 The centerpiece of this park is the Serra Museum, which highlights the four different cultures that have occupied Presidio Hill from the Kumeyaay, Spanish, Mexican and early American periods. 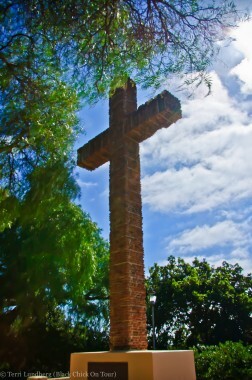 Padre Cross erected in1913 is made up of tiles from the Presidio ruins. Just east of the museum is Palm Canyon a half mile of large palm trees shade this canyon and it’s hiking trails. Located just east, on the other side of Palm Canyon, is Inspiration Point. 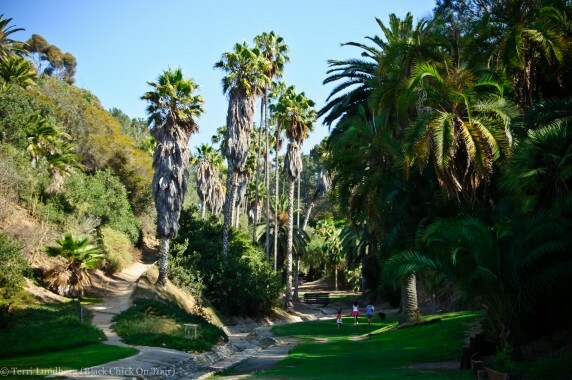 A popular location for weddings, it has views of Mission Valley and numerous trees that offer year-round shade making it a great spot for a picnic. To visit Presidio Park, take Interstate 8 to the Taylor Street Exit. 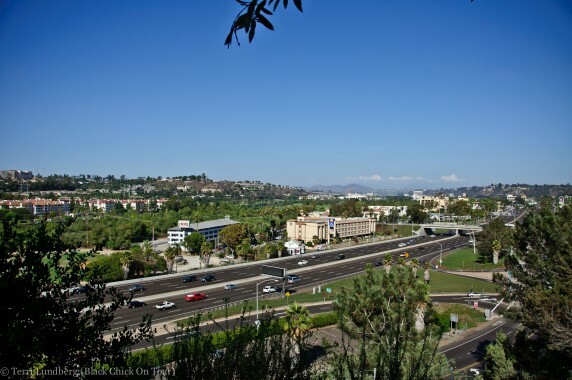 Head west on Taylor Street and turn left onto Presidio Drive. Follow Presidio Drive up the hill then right into the parking lot across from the Serra Museum. Beautiful Photos! I must visit next time I am in San Diego. Thanks Janice! San Diego is a nice place to visit and you’re almost guaranteed great weather. Beautiful…I love Presidio Park…and have captured it perfectly!! !